How to fix php Error: "Call to undefined function idn_to_ascii() or idn_to_utf8()"
The php function "idn_to_ascii()" converts an international domain name (with utf-8 characters in the domain name) to IDNA ASCII form (punycode). "idn_to_utf8()" does the opposite ... it converts the domain name back from punycode to utf-8 (unicode). This error message is shown if the php extension "intl" is not enabled. 1. Start the XAMPP Control Panel and stop the module "Apache". 5. 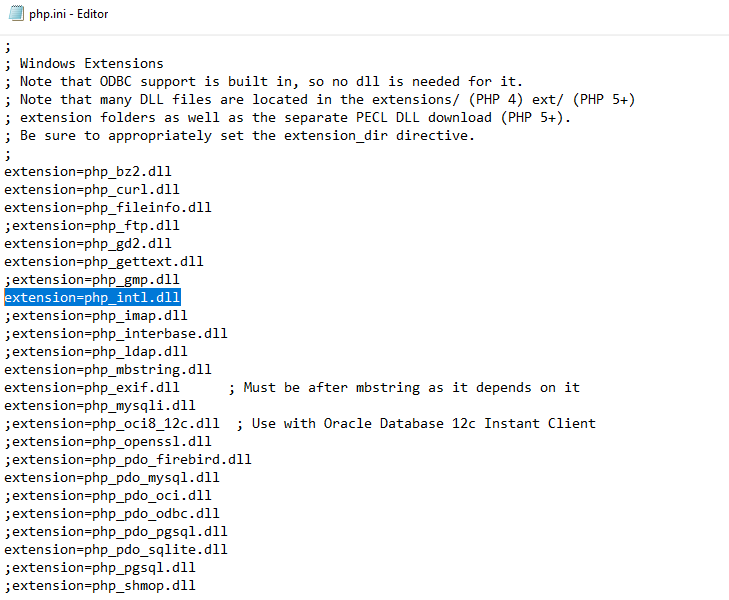 Uncomment "extension=php_intl.dll" to enable the extension. 6. Save the php.ini file. 7. Open the XAMPP Control Panel again and start the module "Apache". Retry your php code ... the error should be gone now.